See scan - perfect condition. 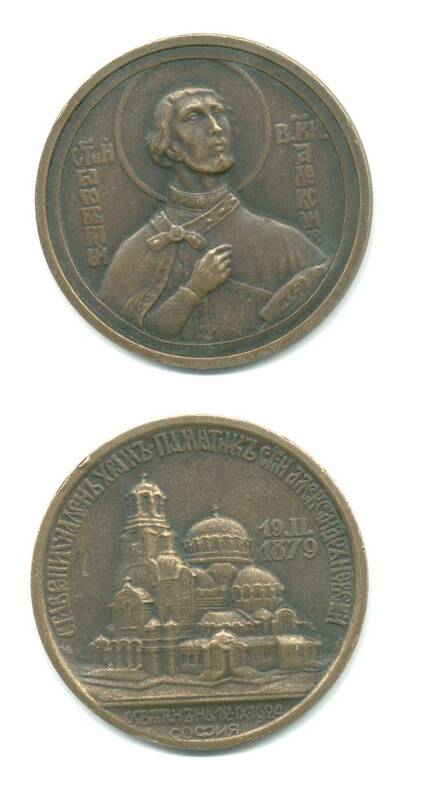 This is a very nice Bulgarian Royal LARGE bronze medal to commemorate the built of the biggest Bulgarian cathedral Saint Alexander Nevski. At back there is a picture of the Saint. The church was built as a gift from the Russian Empire. True collector piece.